A massive space rock that will shave by Earth on Halloween looks like a dead comet with a skull face, Nasa said after gaining a closer look at the spooky space junk. But using the US space agency’s Infrared Telescope Facility (IRTF) on Mauna Kea, Hawaii, experts “have determined that the celestial object is more than likely a dead comet that has shed its volatiles after numerous passes around the sun,” Nasa’s Jet Propulsion Laboratory said in a statement late Friday. Scientists have also spotted an eerie skull-like resemblance on the face of the rock, based on radar data from the National Science Foundation’s 305-metre (1,000-foot) Arecibo Observatory in Puerto Rico. 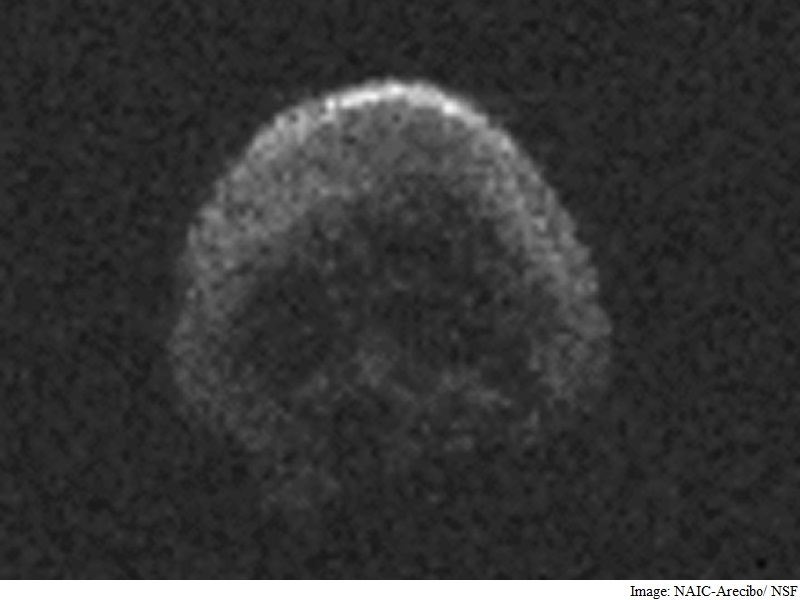 “In the Arecibo images it appears to have donned a skull costume for its Halloween flyby,” said Kelly Fast, IRTF program scientist at Nasa and acting program manager for the US space agency’s Near-Earth Object Observations Program. The space rock has already grabbed attention with its unusually high speed and big size, about as large as a football stadium at 2,000 feet (600 metres) in diameter. When it zips by Saturday at 1pm (5:00pm GMT or 10:30pm IST), it will do so at a distance of 302,000 miles (486,000 kilometres). That’s about 1.3 times the distance between the Earth and the Moon.